This past Sunday I ran the St. Louis Marathon, just 8 days after my 50-miler, mostly because I was excited to be able to pace an old high school friend to his first 26.2 attempt and finish. I was determined not to go too hard, as 8 days isn’t really enough time to recover from anything. In the days leading up to the marathon I got as sick as I’ve been in at least a year – throat on fire, fever, congestion – and was only able to sleep about 4 hours the night before the race. And my knees, especially the left one, were aching before I got my shoes on. But it is nice to sometimes see what I can do when I’m not 100% so the test was laid out ahead of me. My buddy, Josh Wallach, has been running for just a year, after years of smoking and no experience with endurance sports. He’s come a long way, having built mileage significantly in the 4 months prior to the marathon. But, a marathon was more than 7 miles further than he’d ever run so, come race morning, he had the expected anxiety that comes with trying something meaningful you aren’t sure you can do. I was just hoping my sickly, aching body would perform well enough not to hamper his race, though I didn’t let him know that’s what I was thinking. The plan was fairly loose, with Josh shooting for a 4:15-4:30 marathon. I now prefer to have very specific time goals for something like a road marathon, in order to know how hard I should be pushing at different points. However, I understand that for a first marathon, it may be hard to commit to time goal or pace so I was cool with letting things unfold as Josh wanted. To have some gauge of how to run it, we decided to stick to roughly 10-minute miles for the early part, then reevaluate as necessary. With two newbies (me for pacing, Josh for marathoning), we did alright. In retrospect, an easier pace early on would have made for a better experience for Josh and perhaps a faster finishing time but we both got to learn a little. The day didn’t turn out as warm as feared, probably in the 70s most of the race. The course was about as scenic as St. Louis gets, starting near the Arch downtown and weaving through the assorted historic districts that spread out to the west. Josh didn’t seem to push too hard, which was just what both of us wanted. We chatted a little along the way and he didn’t seem to have any labored breathing. My knee did hurt but not enough to affect my running much. Through 15 or 16 miles all went to plan. We were ticking off miles pretty consistently and the effort felt even, accounting for some of the inclines (no real “hills” but still some stretches that rolled). Then, around mile 16 Josh started to get the full marathon experience. Fatigue, of course, but the bigger issue was nausea. It was almost certainly due to drinking too much water, not enough calories, and having a digestive system that hadn’t ever really experienced running for so many hours. It happens and I did my best to tell him there wasn’t anything to really worry about. From that point until the end, it became something of a run-walk, turning to more of a walk-run in the final few miles. Still, he powered through the discomfort, uncertainty, and anxiety to finish. Final time was 4:39:04. 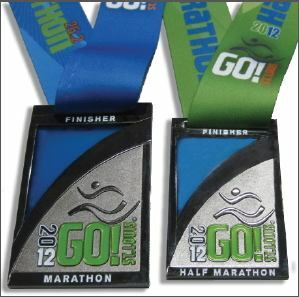 To pace properly, I need to have a better idea of realistic pace in order to keep it going the whole race. Some fade is to be expected but I think upwards of 3 minutes a mile is far too much. If I pace again for the duration of a race, I’ll start the runner slower and insist on a projected goal finish time to pace accordingly. Running a whole marathon while sick and injured was probably pretty dumb. My knees are feeling it this week and I’m still not 100% healthy, though I can’t be certain that the run is to blame. Helping a friend hit a goal is almost as rewarding as hitting my own goals. I look forward to pacing again, maybe if someone needs some help out in Leadville this summer? 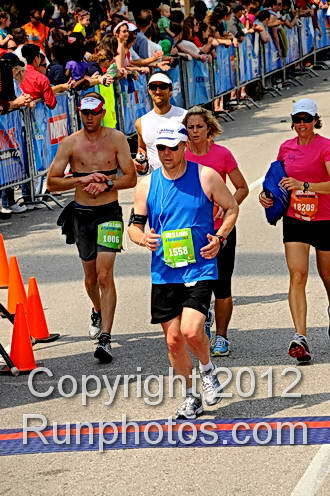 Despite being less than race-ready, it was really cool for a full marathon to feel so relatively easy. 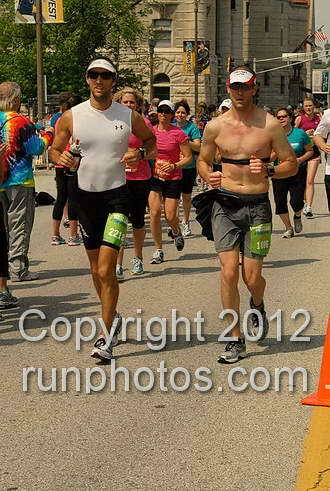 There was never a point where I struggled and I even had the reserves to run the stretch back to my car after the race. Even a couple of years ago it would have been hard to imagine running nearly 90 miles in 9 days and not feeling tired from the effort. Helping a friend is almost as rewarding as hitting your own goals. Priceless.